Performing or registering inspections for pieces of equipment is an important job and critical to operational safety. Performing or registering inspections for pieces of equipment is an important job and critical to operational safety. 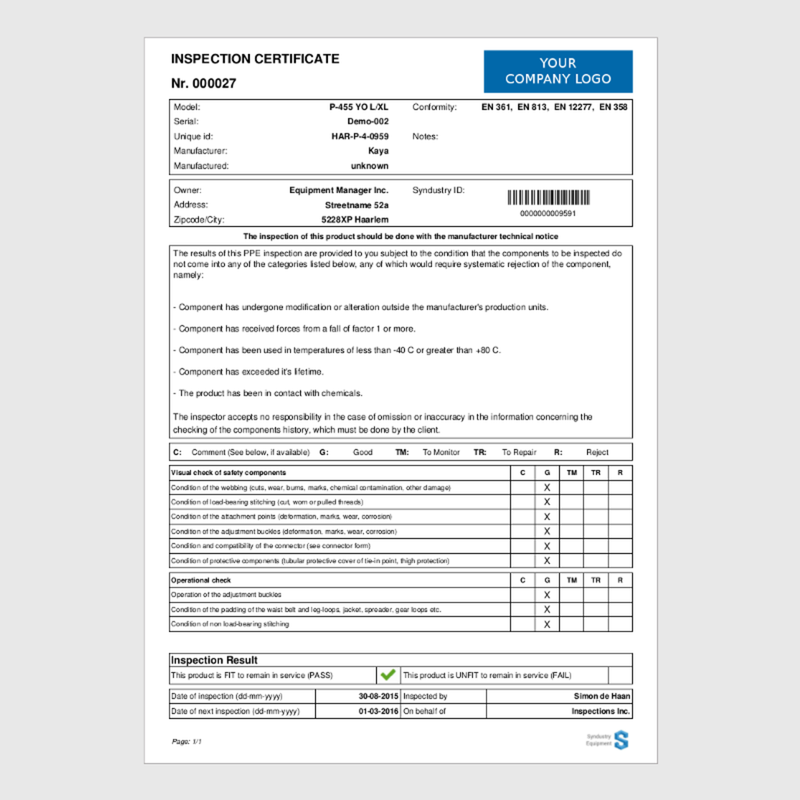 It does however come with a rather large administrative burden, both in registering each inspection certificate and tracking it over its lifetime. Thankfully this can now easily be overcome. 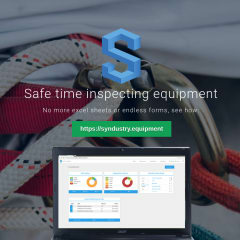 We at Syndustry Equipment have developed an innovative and incredibly fast method of performing and registering inspections certificates which drastically reduces the administrative burden. We want you to focus on the equipment, not on filling in many different fields time and time again. This is why we built our portal from the ground up to be intuitive and help you manage your (PPE) inventory effortlessly. 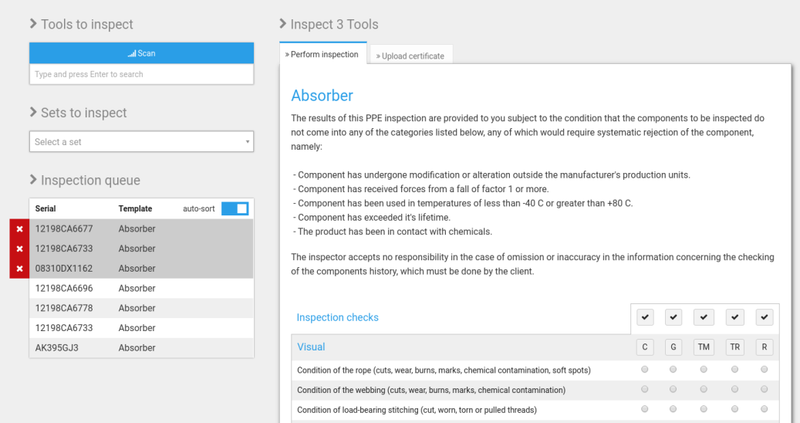 With our software you can perform inspections yourself, or upload certificates performed by third parties. Both of these can be applied to multiple pieces of equipment, generating a unique certificate for each. Define sets for items which form a functional unit, such as a harness and connected equipment. You can choose the set to certify, and the system will take you through each type of certificate within the set. This means you won't have to search, you can just direct all your focus on the equipment, right where it needs to be. We now offer a free trial so come and see for yourself how much time you can safe on certifying your equipment.